Upload the Time Targeting addon to the “addons” folder in XYZ Admarket script. In the “Manage Addons” page please activate theTime Targeting Addon. 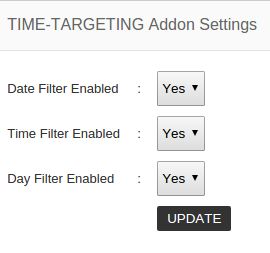 Now you can setup theTime Targeting settings and click update. The Sponsored ads addon is now ready to use. 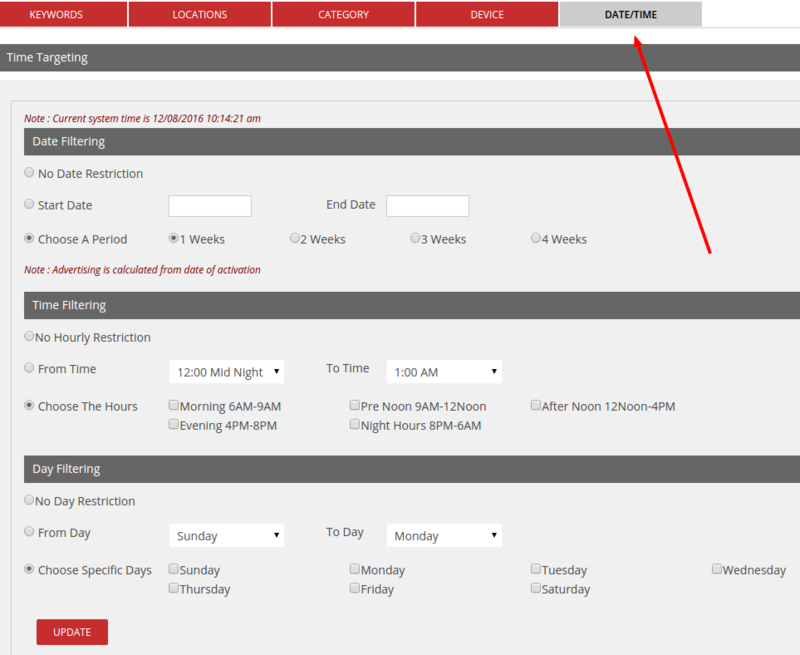 After creating the ad, advertiser can set the dates, time and days to display the ad.